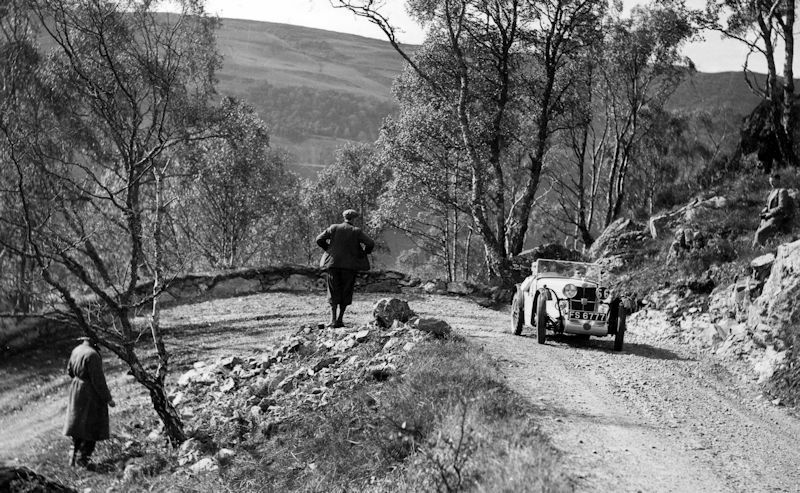 A further scene from the 1933 running of the Scottish Six-Day Trial (SSDT). Here D. Donaldson’s Edinburgh registered 1933 J3 Midget FS 6777 is seen negotiating a very sharp hairpin bend on an unmetaled section of mountain road with spectacular highland views as a backdrop. Just 35 cars entered the event (including the two Minors of Barge & Wagner) while Donaldson’s car was part of the prize winning three car MG team.